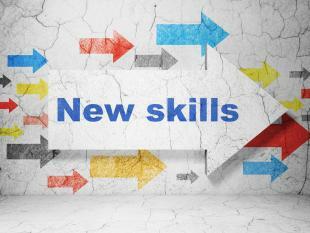 Ready to Learn a New Skill in 2015? Chances are you’ve included learning a new skill or hobby on your list of New Year’s goals and resolutions. Whether these goals are to further your career or just for fun, now’s the time to get started—but where to begin? Last year’s Learn a New Skill series was so popular, we’re bringing it back for 2015 with a fresh round of posts. Throughout the rest of January, we’ll be featuring posts to help you learn a variety of new skills, from a new language to Photoshop. Don’t miss these informative and fun posts featuring tips from many top OpenSesame courses. Whether you want to improve your writing skills or learn how to search Google more efficiently, we’ve got you covered. Want to get a free ebook with all of the posts at the conclusion of the series? Let us know by clicking the button below; we’ll email you in early February. Start 2015 off right by sticking to your resolutions and getting started today. As always, we’re here to help! Looking for guidance on a particular skill? Let us know in the comments and we’ll point you in the right direction!